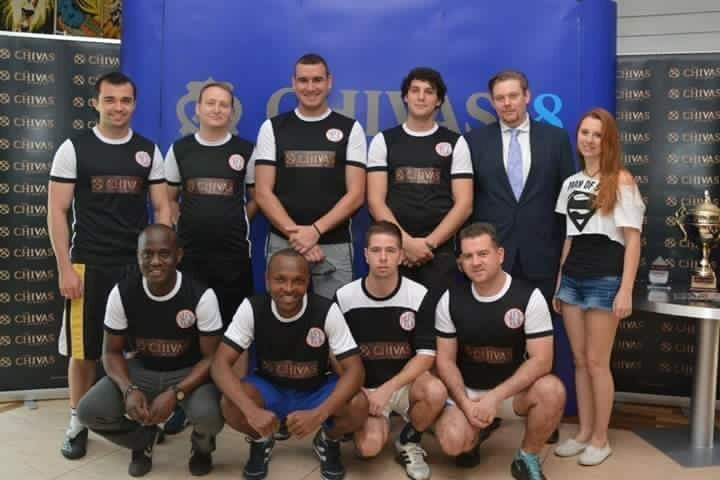 Employees from Masso Restaurant, the Orangery and the Polo Gastropub participate together to form one football team under the name of the Palace Boutique Hotel. The Palace Boutique Hotel team participated in the group stage where they achieved second place and were qualified for the semi-finals. The team finally achieved third place overall. All the restaurants are in the Palace Boutique Hotel and have a diverse number of employees with different backgrounds. The hotel management encourages employees to participate in such events in an effort to foster a culture of team work and cooperation. The tournament was held in the Delmon Resort in Saar and organized by the Chivas Academy. Several hotel restaurants participated in this event.